Home › Wallonia › News › Walloons win Gault & Millau awards! 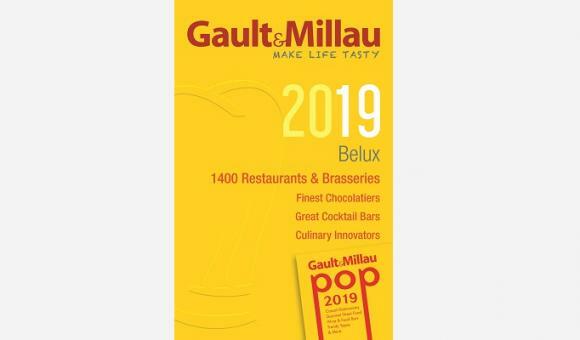 The 16th edition of the Gault & Millau guide for Belgium / Luxembourg has revealed its picks for the year! Several Walloon restaurants have been singled out for awards. The Young Chef of the Year for Wallonia went to Maxime Zimmer for Un Max de Goût, in Comblain-au-Pont. Italian restaurant of the year was awarded to François Piscitello for La Villa des Bégards, in Embourg. Artisan chef of the year was given to Luc Broutard for La Table du Boucher, in Mons. The Wine menu of the year can be found at Au Gré du Vent, in Seneffe. One of the “Pleasure Prizes” of the year was awarded to Attablez-Vous, in Namur. One of the three Discoveries of the year is Le Vieux Château, in Flobecq. The POP category, which was launched last year and includes the best of gourmet fast / street food, hasn't stopped growing. It now includes over 250 recommendations One of the three POP awards for this year is Samëlla, in Visé. And, for the first time, a Walloon chef has been awarded the maximum score of 5 toques (chef’s hats). Indeed, L’air du temps by Sang-hoon Degeimbre was rated 19/20.